- Computational Bioimaging and Visualization. Related techniques also covered in this book include the finite element method, modal analyses, stochastic methods, principal and independent components analyses and distribution models. 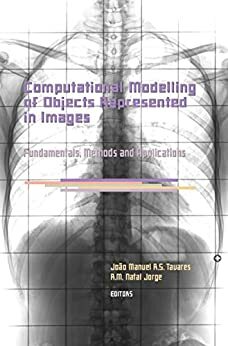 Computational Modelling of Objects Represented in Images will be useful to academics, researchers and professionals in Computational Vision (image processing and analysis), Computer Sciences, and Computational Mechanics.